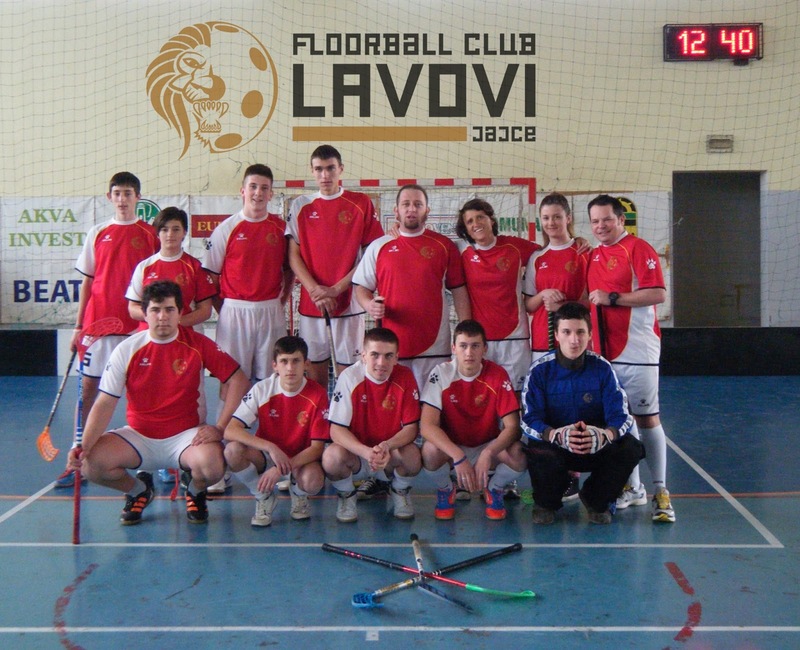 On Saturday Jajce's Lavovi (Lions) bit back at the BiH Floorball League tournament in Tuzla. At least they did in the first game they played. The last time the Lavovi played Gladijator from Prijedor the game was a 4-4 draw. This time we won by a surprisingly comfortable 6-2 margin. Anyone who read our post about the first tournament will probably have noticed the kit change since then. 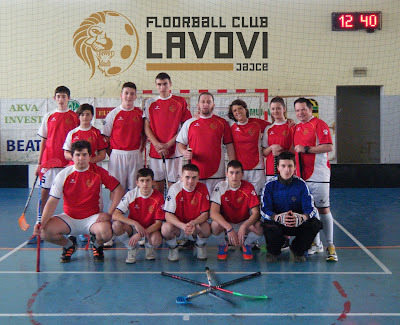 Out go the 70s-style short-shorts of the hand-me-down outfits and in comes a freshly purchased strip with the team badge on the front and “Floorball Club Lavovi Jajce” in big text on the back between the shoulder blades. Sadly new kit and the feel-good factor of getting a first tournament win wasn't enough to guarantee a result in our second game of the day. I never played enough competitive sport in the UK to speak authoritatively on cultural differences but I was surprised that on a day when the lowest scoring game featured six goals our team's faces clearly showed they thought the second game was lost after going one-nil down after five minutes. After that, unsurprisingly, a few tempers were lost on the way to losing the game. But today in training it was all smiles and positive play - the Lions live to roar again!